Follow along live with the Alaska Nanooks as they take on the St. Cloud State Huskies of the WCHA today at 5:07 p.m. in the first game of the 2011 Kendall Hockey Classic (hosted by Alaska Anchorage). What's A Seawolf? It's What's For Dinner! Don't miss your chance to eat seawolf and cheer on the Alaska Nanook hockey team as they take on the Alaska Anchorage Seawolves next month at the Sullivan Arena. The Department of Athletics will host a seawolf taco feed and Governor's Cup Viewing Party on Saturday, February 26 at the UAF Patty Center. Check out the details and don't miss the party! 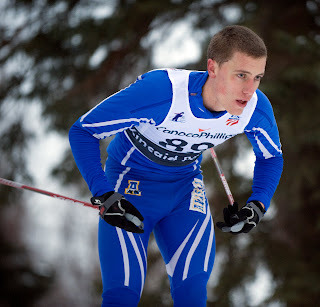 Don't miss this feature article on NCAA.com about the Alaska Nanooks men's and women's ski teams. Go Nooks! The UAF men’s ski team lent a hand to the Marshall School yesterday in constructing a new timing cabin. Though it looks like a deluxe ice shanty for fishing the local lakes, it is a top-o-the-line timing facility. We look forward to seeing it in action during our races this weekend here in Duluth. Getting the first wall up. The completed cabin (sans windows). Top row (l-r) Ray Sabo, Cody Priest, John Parry, and assistant coach Matt Dunlap. Bottom row (l-r) Alex Morris, Erik Soederstroem, and builder Jay ?? (Sorry Jay — we missed your last name.) Not pictured: Lars Arneson. "Just finished packing for a 28 day trip to the lower 48. 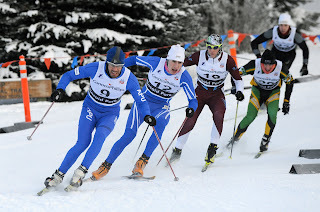 We hit US Nationals in Maine, then fly from Boston to the midwest for college races in Duluth and the Minneapolis USSA SuperTour. Packing for a long road trip has gotten easier after six full seasons here at UAF, but it’s still a challenge. Basically we have to take enough wax, tools, and other equipment for 12 athletes competing in eight events over four weeks. We basically pack up the entire wax room and take it south. Living on the road is a challenge, too. A simple ear infection or lost bag can create all sorts of issues. Fortunately, we have many friends all over the country who always lend a hand when we come up short. The good people at Michigan Tech, Northern Michigan, St. Scholastica, Chisholm Ski Club, St. Cloud State, St. John’s University, Team Homegrown, the Marshall School and many more have all helped us out over the years, and we are very thankful. Many people ask how we can miss so much school on a road trip like this. Due to our university calendar, we only miss three days of classes for this four week road trip. We are on break for 25 of the 28 days. Later in the season will miss a bit more, but our student-athletes, like most skiers around the country, are diligent and hard-working. It’s not easy, but they get the job done. I am very fortunate to travel with such a great team. They all pitch in when we have to pack up and head to the next venue. I couldn’t ask for a better group of university athletes. Thanks to our friends out there — we appreciate your support on these long trips. We look forward to seeing you at the races." 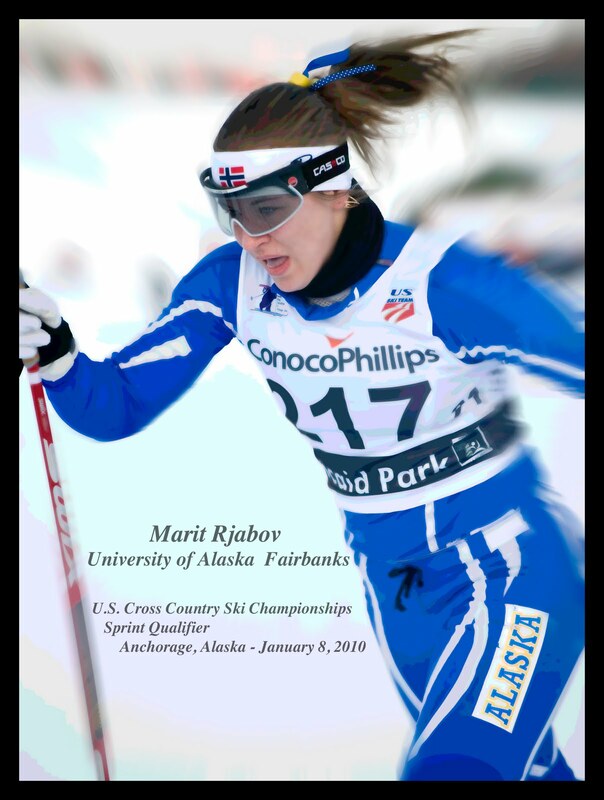 Here are some images from some of the team members at last year's U.S. Nationals in Anchorage. Best of luck to all the Nanooks as they take to the trails at U.S. Nationals this week in Rumford, Maine. 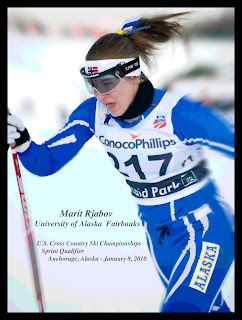 Welcome to the Alaska Nanooks Blog for the University of Alaska Athletics. This blog will contain articles, releases, athlete submissions, live blogs and much more. We hope you enjoy and continue to follow Alaska Athletics. You can also follow us on twitter following this link and on Facebook with this link. Enjoy and GO NANOOKS!